You are here: Home / End Of The American Dream / Amazing Things Are Happening For Michael Snyder’s Campaign For Congress! Yesterday I got back from the best campaign trip down south that we have had so far. It has been difficult for me to get to sleep these days, because I am incredibly fired up about the tremendous momentum that is building for our campaign. I am so thankful for those of you that have been donating and volunteering, because without you none of this would be possible. 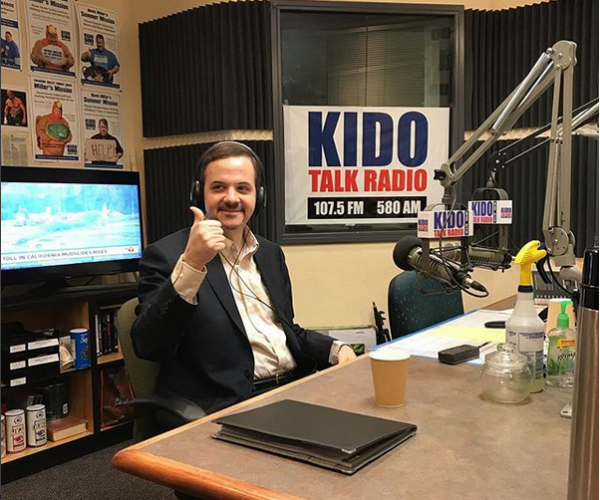 I thought that I was going to have to run as a “political outsider”, but so many members of the Idaho state legislature are now very enthusiastic about what we are trying to do. In fact, our campaign was just officially endorsed by Senator Dan Foreman. Dan is one of the top conservative voices in the entire state of Idaho, and to have him on our side is a major breakthrough. Senator Foreman is the “real deal”, and to have him endorse our campaign is a major league gamechanger. During my trip down south, I was also interviewed by Idaho Education News. They are not conservatives over there, and so I was quite concerned about how the article would turn out. Fortunately, the article turned out great and the thousands of people that will read it will learn that I am a “100 percent supporter of President Trump”. If you would like to check out the article, you can find it here. Please share this video as widely as possible, because Kevin Miller is greatly respected by the conservative community here in Idaho. We did several other events while we were down there, and a whole bunch more people indicated that they want to get involved in the campaign. More than anything else, we need your prayers. We are in a full out sprint to election day, and we are doing our very best to work harder than everyone else. It is a grueling process, but we have got to put everything into this effort if we want to win. I cannot thank all of you enough for all that you have done so far. You guys believed in me when nobody else did. At first the “political experts” here in Idaho didn’t think that we had a chance, but now they are starting to change their tune in a major way. Four months from now, we are going to shock the entire country when we win this thing. But in order for that to happen, we need your help. We have a brief window of opportunity to take our government back, and we desperately need more good people in Congress. If you have followed my work for a long time, please help us with this endeavor. Every generation of Americans has had to stand up for the cause of liberty, and now it is our turn. We must not abandon our Republic when it needs us the most, and I pray that you will decide to join our cause.